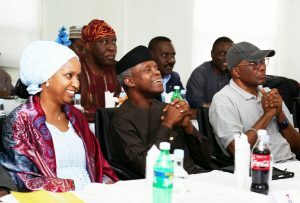 The Vice-President and the Acting President, Professor Yemi Osibanjo has stated that the successful anchor of the Egina FPSO is not just a celebration of local content across board, but also a resounding testimonial of the success of the Ease of Doing Business in respect of the Ports industry. He made this statement during the occasion of a presidential working visit to LADOL Offshore facility within the Lagos Ports Complex (LPC). The Vice-President, who represented the President and Commander-in-Chief of the Federal Republic of Nigeria, President Muhammadu Buhari also enjoined stakeholders within the industry to compete favourably whilst appreciating the facility. “Excellent work has been done here and they would be sacrosanct industry to the Economic Recovery and Growth Plan (EGRP) of Government in the long run as would be evident in the Nation’s GDP in no distant time.” He congratulated the Local Content Board for contributing effectively at bringing the facility and project to fusion. 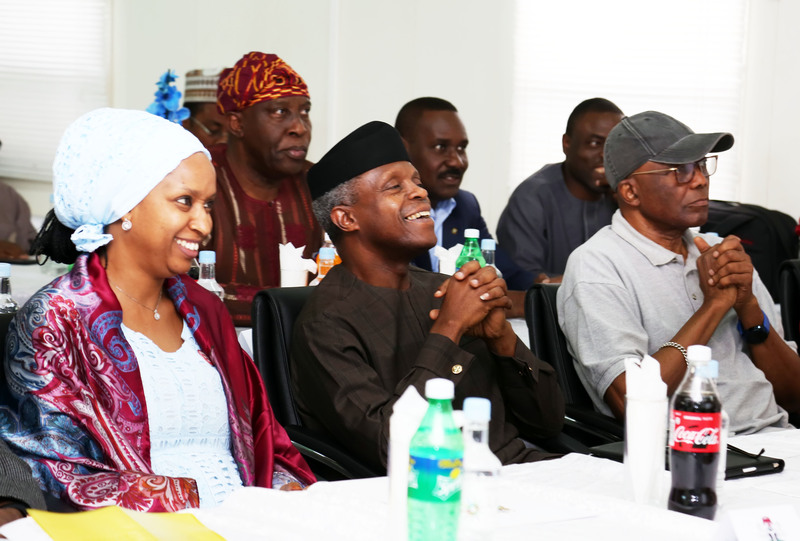 The Vice-President used the opportunity to enlist support of stakeholders in the Federal Government’s fight against corruption in order that we join the comity of nations free from corruption. In her contribution, the Managing Director of the Nigerian Ports Authority (NPA), Hadiza Bala Usman, who spoke to stakeholders during the occasion said that the successful berthing of Egina is as a result of operational efficiency and very robust synergy between the NPA and LADOL including other stakeholders whilst reiterating that it is a testimony of enhanced capacity of the Authority to handle greater responsibilities in the sector. She encouraged other operators to emulate the investments made by Total, LADOL, Samsung Heavy Industries (SHI) adding that government venture into the provision of a level playing field through anti-monopoly policies which have yielded great dividends. According to her, the multiplier effects of local content policy is evident in visible technological transfer, accrued revenue to the nation, as well as in employment creation, reduction in capital flight, attraction of hub status for the oil and gas sector in Nigeria amidst the cost saving attributes. Other stakeholders who appreciated the LADOL facility and operation therein amidst the Egina FPSO project celebration were the Honourable Minister of State Industry, Trade and Investment, Hajiya Aisha Abubakar; Chairman LADOL, Mr. Ladi Jadesimi; Deputy Managing Director , Deepwater Total, Engr. Ahmadu-Kida Musa who represented the Managing Director Total Upstream, Mr. Nicholas Terraz; whilst Top Management of the NPA were on hand to support the Managing Director, Hadiza Bala Usman during the occasion.